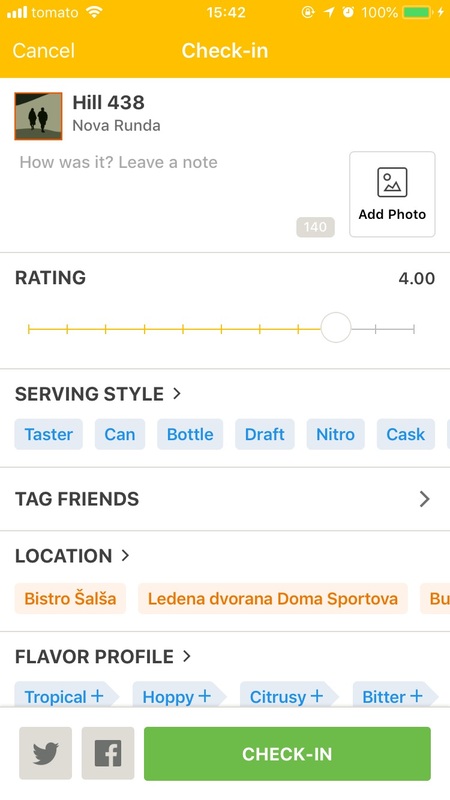 This post describes Untapped application feature tour triggered by application beer check with wrong rating. Untapped is application for craft beer community. It enables you you to find beer that you are drinking in the application database in order to do a beer “check in”. The most important attribute of check in is beer rate. There is mobile (Android and iOS), and web application versions. You could unlock additional features by being supporter. This post is about not supporter version. Untapped is using slider for entering check in rate. Craft microbrewery owners. They are using Untapped application in order to reach customers. Higher beer rate created by community means better business. Number of beer checkins in this context is less than 300. Rate slider has steps of 0.25 points on scale from 0 to 5. Problem is that sometimes, when I set the rate, slider automatically moves rate downwards. 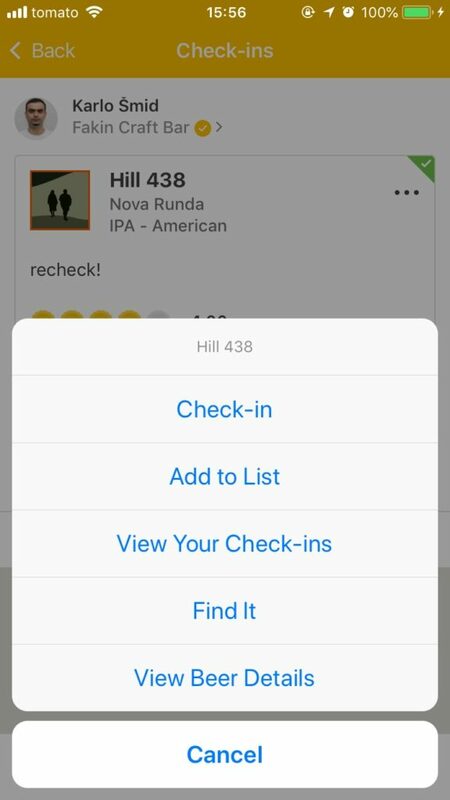 Nova Runda recently issued new beer, Hill 438, and my original rate 4, was automatically set to 3.25! I noticed that, after the check in. As I personally know the owners, I informed them that rate was mistake, so in order not to interrupt their business, they kindly ask to update the check in rate. Move through the application and get familiar with all the controls and features you come across. Update check in on iOS untapped application is not possible. Update check in on Android application is possible (thanks Zeljko for checking), but I do not have Android device. Also, it is not possible to DELETE checkin on iOS application. I deleted wrong check in using web application, and created new one with correct beer rate, also using web application.